During his lifetime, Louis David Riel was a controversial figure—a leader of two uprisings, regarded as either a hero or a traitor—but today he is recognized for his contributions to the development of the Métis Nation, the province of Manitoba, and Canada. In 1992, he was named a founder of Manitoba, and in 2016, he was recognized as the province’s first leader. Since 2008, the third Monday in February has been celebrated as Louis Riel Day in Manitoba. 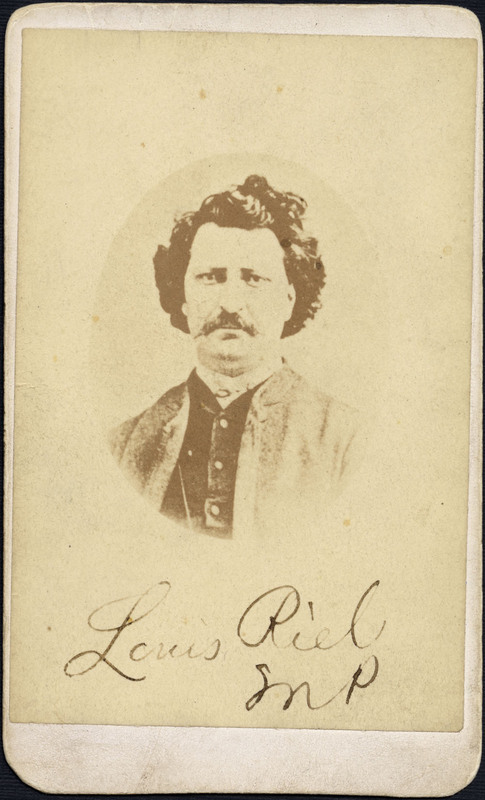 Library and Archives Canada (LAC) has a rich selection of materials relating to Louis Riel and the movements he led. The We Are Here: Sharing Stories project digitizes Indigenous-related materials in LAC’s collections. One of our priorities is to digitize the documentary legacy of Riel to make it more accessible to Métis Nation communities and researchers. While Riel is one of Canada’s most famous historical figures, some aspects of his life story are less known. Most Canadians will recall that Louis Riel led the Red River Resistance in 1869–1870. At this time, the Hudson’s Bay Company sold their rights to Rupert’s Land, granted to them by the British Crown, to the Dominion of Canada. Métis Nation and First Nations peoples who traditionally inhabited the area did not recognize the Hudson’s Bay Company’s claim to the land, and therefore saw this as an illegitimate sale. 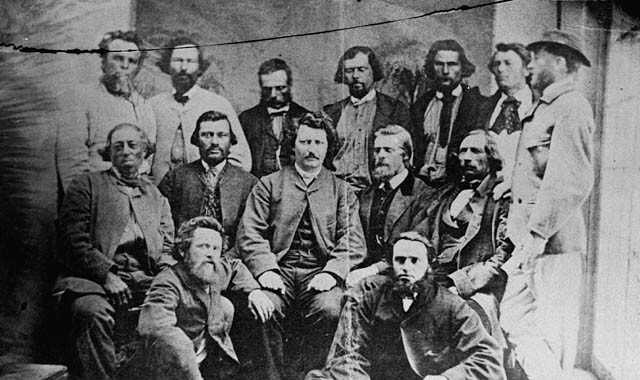 In response to the sale of their homelands, Louis Riel and his colleagues formed a provisional government, pictured below, at Fort Garry. However, not everyone supported Riel’s provisional government. 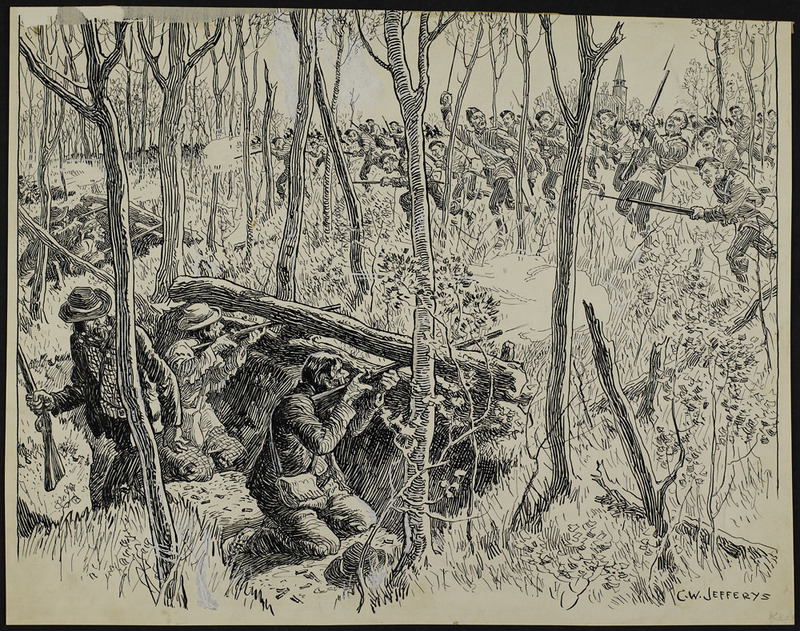 A group of Ontario settlers were captured by the provisional government’s forces while preparing to attack Fort Garry. One of the group, Thomas Scott, was executed for insubordination on March 4, 1870. Despite this incident, negotiations with Canada continued, and Riel successfully negotiated the terms of Manitoba’s entry into Confederation. When the negotiations were complete, a military expedition was sent from Ontario to enforce Canadian control over Manitoba. Many in Ontario viewed Riel as a traitor and murderer for the execution of Thomas Scott. Fearing for his life, Riel fled to St. Paul, Minnesota. One of the less-well-known stories of Louis Riel’s life is his ill-fated journey to Ottawa. In 1873, Riel was elected as the Member of Parliament for Provencher, Manitoba, and he was re-elected twice in 1874. 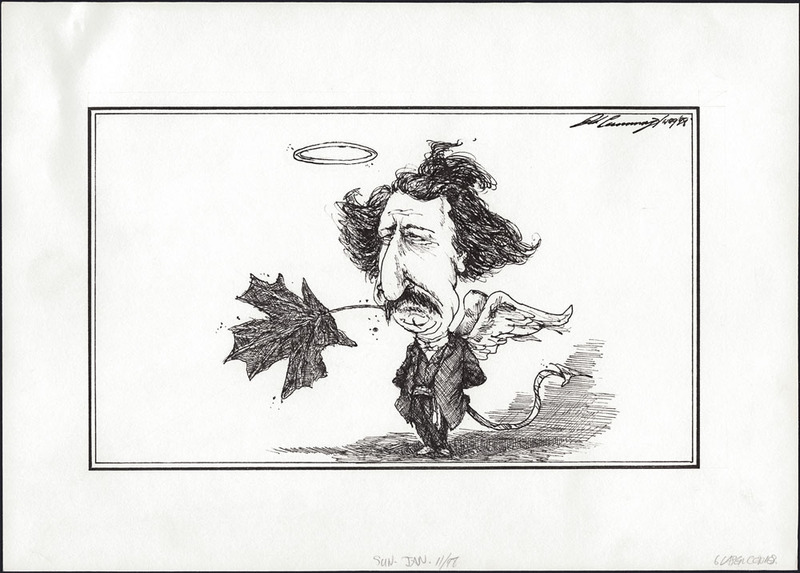 Riel travelled to Ottawa to take his seat, but his foray into federal politics was to be short-lived. His attempt to sit in the House of Commons is documented in our collection by some interesting material. 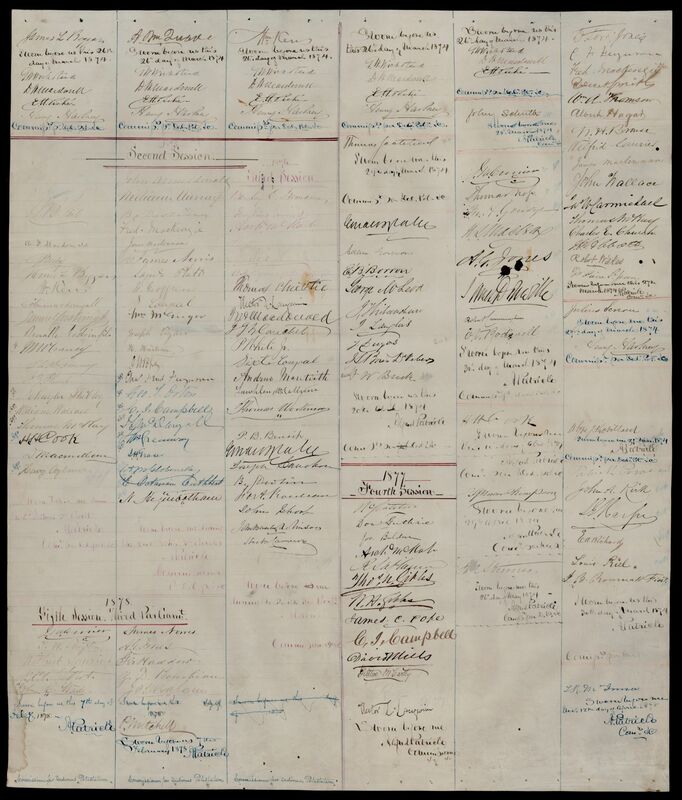 The first item is the test roll bearing his signature, pictured below, which every Member of Parliament signed upon taking the oath. In 1875, Riel went into exile in the United States. From 1879, he lived in Montana Territory, where he married Marguerite Monet, dite Bellehumeur, in 1881. They had three children. He followed the buffalo hunt and worked as an agent, trader, woodcutter and later teacher. Riel returned to Canada, to Batoche in what is now Saskatchewan, in July 1884. The test roll and the photograph of Riel in Ottawa are examples of how even some of the small items in our collection can illuminate moments in Canadian history. By researching and digitizing more of the Indigenous documentary heritage in our collections, we aim to share the stories not only of famous figures like Riel but also of many other Indigenous people in Canada. Anna Heffernan is an archivist/researcher for We Are Here: Sharing Stories, an initiative to digitize Indigenous content at Library and Archives Canada. Lord Selkirk saw Canada as the next big thing in farming. 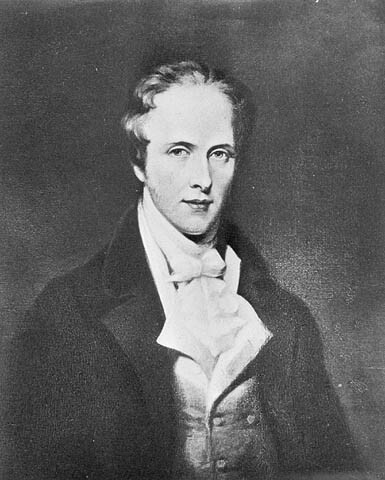 His vision included Scottish and Irish settlers. It excluded the land’s First Nations peoples and the Métis. In my academic life, I research Métis identity and political history. This means that a lot of my writing is focused on 19th-century Métis communities. I’m interested in how Métis viewed the major social, economic, and political forces that shaped their lives and how they organized themselves to influence (and thrive in) a changing prairie west. I’m Métis, and an Assistant Professor in the Faculty of Native Studies and the Department of Political Science at the University of Alberta. The Selkirk Treaty of 1817 was an agreement between Lord Selkirk—a land-speculating Scottish Earl and major Hudson’s Bay Company (HBC) shareholder—and the Nehiyawak and Anishinaabeg (Cree and Saulteaux) in the Red River Valley of what is now southern Manitoba. It allowed for the settlement of Scottish settlers in exchange for a substantial amount of tobacco as “an annual present,” or as Anishinaabe saw it, rent. Before 1817, Selkirk had tried to settle the land without the permission of local Indigenous peoples by way of a land purchase from the HBC. The pretension to own this 116,000 square mile tract over which he had no presence or influence over was understandably infuriating for those who did in fact “own” the land. Between 1812 and 1816, substantial complaints were raised by many Indigenous leaders, dismissing the absurdity of an unknown outsider claiming to own their territory and threatening action against any outsider who would settle their lands. This opposition was most pronounced among the bois-brûlés, the “New Nation” of the northwest, who would soon call themselves the Métis. Indigenous communities were also nestled in a complex network of alliances that linked them to two rival fur trading companies—the pro-settlement HBC and the anti-settlement North-West Company, the latter which had significant overlap in membership with the bois-brûlé leadership. 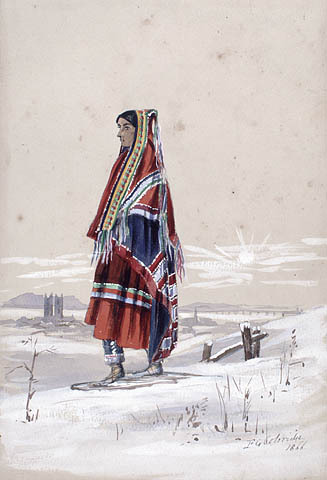 In the summers of 1815 and 1816, bois-brûlé soldiers dispersed Selkirk’s first settlers and actively barred outside settlers in the Red River Valley. 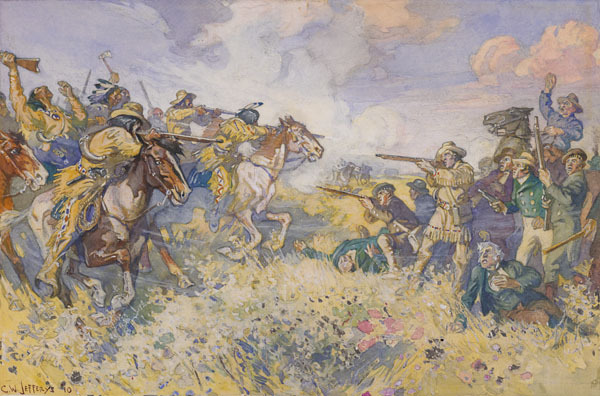 On June 19, 1816, the bois-brûlé emerged victorious from a spontaneous engagement with HBC servants, killing 21 of them, then seizing their fort, and later Selkirk’s settlement at Red River. While Métis weren’t party to this treaty with Selkirk in 1817, Métis agitation over 1815–1816 was a major motivator in the treaty’s negotiation, and it nonetheless shaped Métis-HBC relations for generations afterwards. Given the failure of Selkirk’s settlement to win favour with the prevailing political powers in the Red River Valley by 1816, Selkirk undertook the long journey to the region to bring about some form of resolution of the hostility. He thus negotiated with local Nehiyawak and Anishinaabeg to gain permission to settle Scottish families at Red River, in exchange for substantial annual presents that he called “quitrent.” While the treaty was understood by all involved as allowing for peaceable settlement by outsiders, there was little consensus on what the treaty meant in terms of land ownership. For years afterwards, Selkirk and the HBC claimed that the treaty assured the surrender of Indigenous lands to Selkirk and the Company. For Indigenous peoples, it established a long-term rental agreement that recognized them as the landlords while bringing new people into their country, it provided generous annual gifts for Nehiyawak and Anishinaabeg, and it solidified a new alliance with a powerful aristocrat. 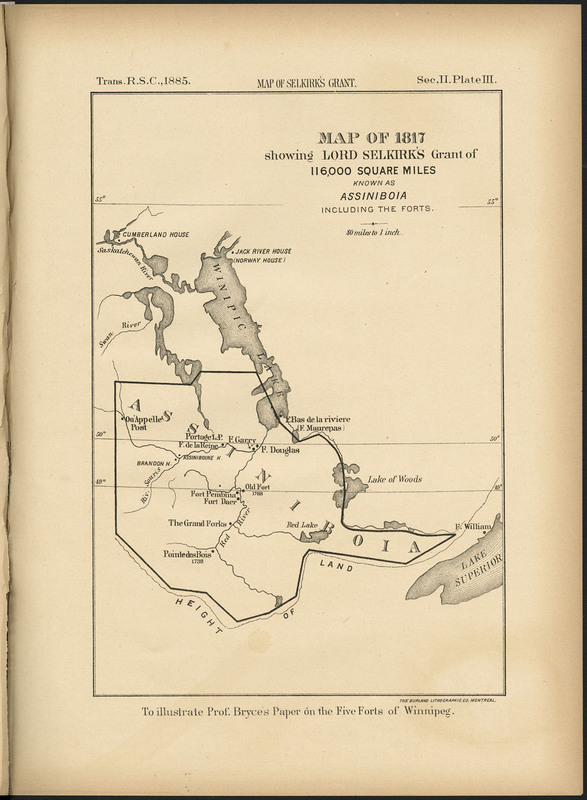 The Selkirk Treaty is important because the document shows that when attempting to gain ownership of the Red and Assiniboine River watersheds, British leaders needed to navigate ongoing Indigenous title via treaty if they wished to settle their subjects there. The account of the treaty written down by Selkirk’s entourage is itself fascinating in its inherently contradictory language and confused terminology. Indeed, both of the above interpretations can be pulled from its text. However, it’s my opinion that if read critically, this treaty recognizes Indigenous peoples as “landlords” of the Red River Valley, relying upon feudal language to describe a tenancy relationship that would have been obvious to a Scottish nobleman. The document is seemingly contradictory. 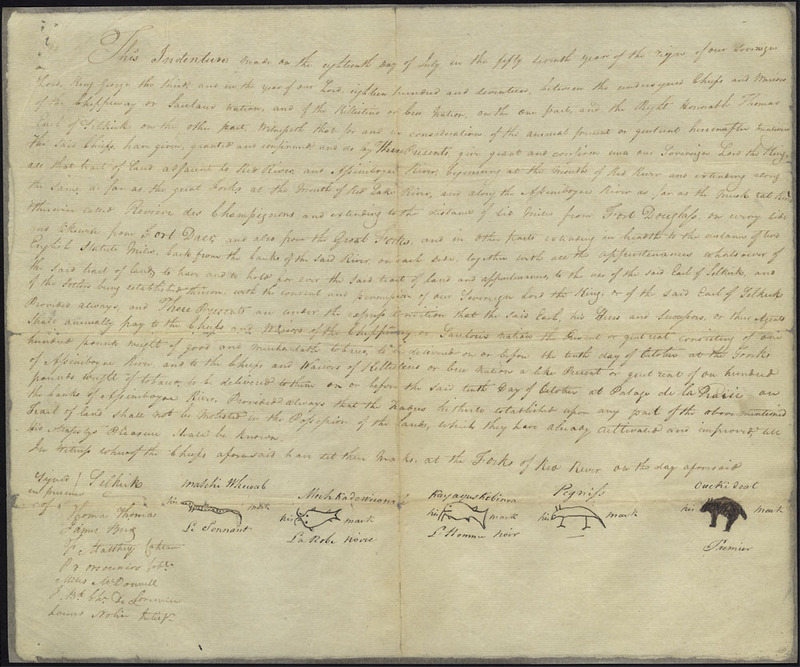 On the one hand the document states that the Nehiyaw and Anishinaabe chiefs agreed with Selkirk “to give, grant and confirm unto our Sovereign Lord the King, all that Tract of Land adjacent to Red River and Assiniboyne River” for “the use of the said Earl of Selkirk, and of the Settlers being established there.” But on the other hand, it states that Selkirk would “annually pay to the Chiefs and Warriors” an annual “Present or Quitrent” of “one hundred pounds of good and merchantable Tobacco” from Selkirk, his heirs, and successors. What I think is particularly telling in this regard is the language describing this exchange as a quitrent relationship. A common custom in Selkirk’s day, quitrent was a feudal practice in which a tenant farmer paid an annual fixed rent on the land that a peasant farmer occupied, which released him from all other duties owed to his lord. Older feudal conventions required peasants to contribute labour towards public works and military duties defined by their lord. But by the 19th century, in order to maximize their profitability, many estates consolidated all of these various feudal duties into fixed quitrents, or regular payments that replaced all other obligations. As a feudal institution, quitrent explicitly recognized the ownership of the land by the feudal lord as well as institutionalized a specific feudal relationship between lord and tenant. It was generally known in the 19th century that quitrent did not transfer the land title to the tenant and the land remained the property of the feudal lord. Being himself a land-owning nobleman in Scotland, the language of quitrent would have been a concept Selkirk and his associates understood intuitively. Thus, Selkirk also describes a relationship in which he gave an annual quitrent, 100 lbs. of merchantable tobacco, to his landlords in exchange for a right to settle tenant Scottish farmers on the lands around the Red and Assiniboine rivers. Such an interpretation is also consistent with how Anishinaabe chiefs understood the treaty. 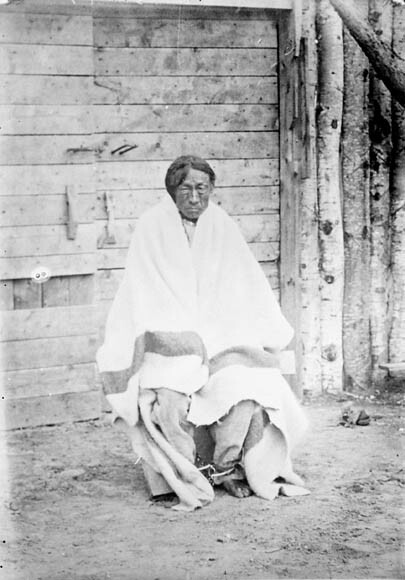 Chief Peguis, one of the treaty’s signatories, was adamant that the treaty outlined an annual rental agreement for this tract of land. In 1859, Peguis gave a formal statement, recounting that “no final bargain was made; but that it was simply a loan… I say positively the lands were never sold.” And according to Manitoba historian J.M. Bumsted, Peguis’ son, Henry Prince, likewise told a Métis assembly in 1869 that “the land had only been leased and the annual gratuity now paid…by the HBC was part of the rental.” From the perspective of Peguis and his son, the treaty did nothing to change the ownership of the land in the Red River Valley, which continued to rest with the Indigenous peoples rather than with Selkirk, the Company, or the Crown. Indeed, since Selkirk was the one paying an annual quitrent; he was in the tenant role, in other words, Indigenous peoples were his landlords. Selkirk in attempting to secure ownership and title of Indigenous lands through treaty-making, intentionally or not, ended up reinforcing Indigenous ownership of the land he wished to settle. Likely this was all he could do in an era of Indigenous political and military ascendency in the West. Having had his countrymen routed by a bois-brûlé party the summer before, he wasn’t exactly in a position to demand control of Indigenous lands, and Indigenous peoples have never been willing to surrender their land and their independence to others. Selkirk’s treaty is therefore an important reminder of Indigenous political power in the early 19th century. It was bois-brûlé power that forced Selkirk to negotiate and it was the Nehiyawak and Anishinaabeg who navigated Selkirk through a terrain of Indigenous power and diplomacy. Selkirk was only able to gain permission to settle his countrymen on Indigenous land in exchange for an annual quitrent, due to those who assumed the role of the country’s landlords. Thus this treaty is a record of a negotiation that initially sought the surrender of Indigenous lands, but Selkirk only succeeded in reinforcing Indigenous political and territorial primacy, by recognizing the ongoing ownership of others to the lands he wished were his own. Canadians are usually taught to see treaties as documents intended to induce Indigenous peoples to surrender their rights and title, much in the way that Selkirk attempted in 1817. But the history of diplomacy on this continent is both ancient and complex. Rarely, (if ever) did Indigenous peoples see treaties with European empires as alienating land or jurisdiction. Instead treaties, like this one, sought to work out new ways for different peoples to benefit from each other’s presence on the same territory. 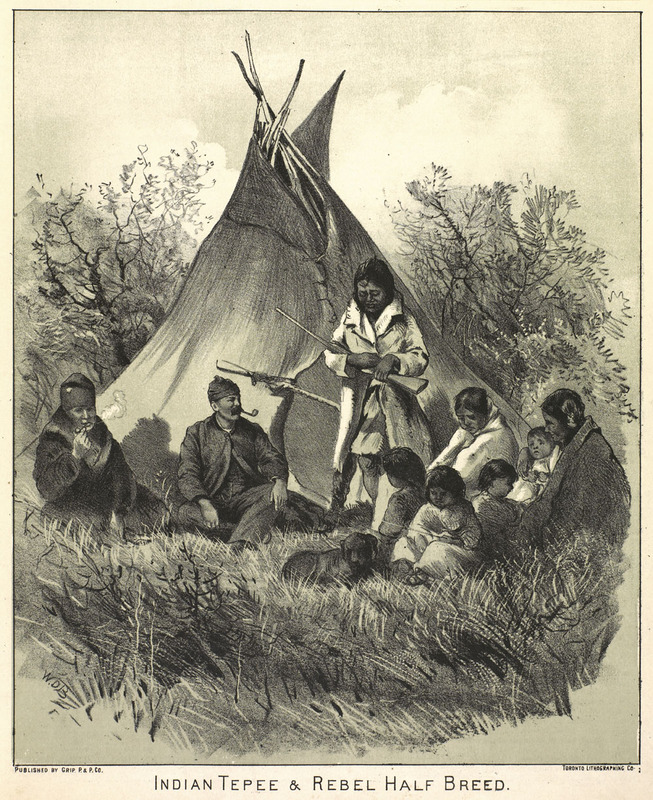 Selkirk and his settlers were being welcomed into a new place to share in the bounty of the prairie landscape—for a price—and this also involved an ongoing recognition of the original inhabitants of the territory and ensuring that they too would benefit from the increased presence of Europeans. This treaty should remind us that the Indigenous peoples who negotiated these agreements were both powerful and sophisticated diplomats and able to force European negotiators to accept the norms of Indigenous diplomatic systems. There are also pitfalls to viewing Indigenous-British treaty-making as rooted primarily in land cession and Indigenous disempowerment. Treaties were negotiated in public and in front of large audiences in ways that would ensure accountability moving forward. In these cases those present could remember what was discussed, what was agreed to, and of course what was not. In most cases, Indigenous peoples did not discuss, let alone agree to the permanent alienation of their lands. Much like Peguis and Henry Prince they remember only agreeing to share the bounty of their lands with new allies. Treaties like this sought mutual benefit, not restructuring political relations along lines of massive political inequality. If we view treaties as cession documents—not living, breathing agreements—we miss their purpose, indeed, this is why Selkirk’s treaty—indeed all Indigenous-Crown treaty-making—is so poorly understood. 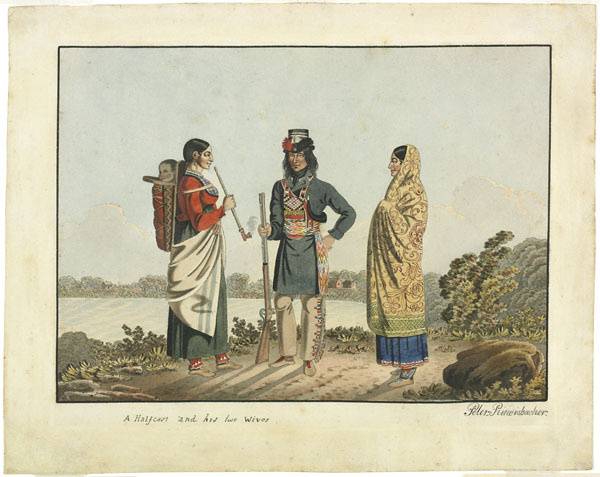 Most historians of the prairie west have long failed to understand either Indigenous motivations or the Indigenous diplomatic context in which negotiations were taking place. By first listening to Indigenous voices—past and present—that understand things differently, and secondly, permitting Indigenous voices the authority to narrate our own histories and political relationships, we’ll get a fuller, more accurate view of history. The same issue emerges when attempting to understand Indigenous-Crown treaties that follow Selkirk’s treaty in the West. The Numbered Treaties (Treaties 1-11, negotiated 1871–1921) are also said to have extinguished Indigenous title to the lands, turning it over the Crown—a claim that Indigenous peoples deny, arguing that no such discussion occurred and that their ancestors never agreed to such a thing. So much of this seems rooted in the imperial mentality that Indigenous peoples are too primitive and unsophisticated to have either understood what was being negotiated or were duped by more sophisticated agents of the Crown. These assumptions are both baseless and grounded in a normalized racism reinforced by generations of Canadian colonial practice. As Selkirk’s treaty shows, Indigenous peoples were well aware of what Europeans wanted, and were able to exert their own influence on events, meaning that treaty negotiations were just that—negotiations. In later treaty-making, Indigenous peoples also were successful in guiding negotiations within their well-established diplomatic traditions. They negotiated the entry of new settlers onto their territory in exchange for ongoing annual presents which would recognize their ongoing stake in the territory. While the Numbered Treaties are still viewed as cession documents by the federal and provincial governments, Indigenous intellectuals take a different (and nearly unanimous) view that these agreements established an enduring relationship that recognizes Indigenous rights and title, rather than extinguishing them. As Canadians are beginning to think more critically of these agreements, developing a better framework from which to approach Indigenous-Canada and Indigenous-Crown relations is paramount. A critical reading of the treaty documents in conjunction with the written records of the negotiation and the oral tradition is vital. Like Selkirk’s treaty, it is possible to read one line of an official document and assume that it eliminated Indigenous rights and title forever, but we must also go much deeper and understand the sophisticated new relationships being envisioned by all involved. Historians in particular have an obligation to take a broader view of these relationships and engage a broader archive of sources, some of which may not have been written down. In an era of reconciliation, intellectuals must look beyond standard accounts and standard approaches to narrating those accounts. Indigenous peoples have long held different histories about these events, and Canadian intellectuals must take those seriously. Critical readings of these events will allow us to see beyond the contemporary colonial context to see the different relationships envisioned by our ancestors in how we were to live together. Treaties, like the Selkirk Treaty, all provide guidelines for just relationships and co-existence—we just need to look more carefully at them, in order to realize that vision. Adam Gaudry, Ph.D., is Métis and an Assistant Professor in the Faculty of Native Studies and Department of Political Science at the University of Alberta. His research explores 19th-century Métis political thought, the formation of a Metis-Canada treaty relationship in 1870, and the subsequent non-implementation of that agreement. This project argues for the ongoing existence of a “Manitoba treaty” between the Métis people and Canada that necessitates the maintenance of a respectful and bilateral political relationship between the treaty partners. This work is being revised for publication as a book. He received his Ph.D. from the Indigenous Governance Program at the University of Victoria, and his MA in Sociology and BAH in Political Studies from Queen’s University. 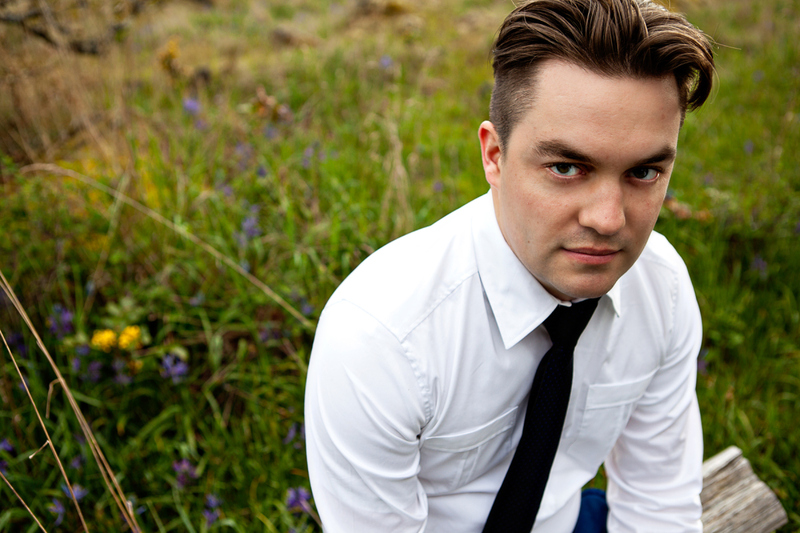 For his doctoral research on historic Métis-Canada relations, he received the Henry Roe Cloud Dissertation Writing Fellowship at Yale University. He is also a co-investigator on the SSHRC-funded Métis Treaties Research Project. He has published articles in Native American and Indigenous Studies, the Wicazo Sa Review, aboriginal policy studies, and the Canadian Journal of Native Education along with chapters in edited collections on Métis identity, research ethics, and methodology. Many individuals do genealogical research to determine whether they have an Aboriginal branch in their family tree. For some, this is simply to confirm or disprove a family story. For others, the research is connected to self-identity, empowerment, possible registration in Aboriginal organizations or funding connected to self-identification. Library and Archives Canada (LAC) cannot make any determination about whether you are Aboriginal, but our documents can assist in your research. Sadly, sometimes, our family stories are just that—stories. Likewise, family photographs may lead us to make false assumptions. Are we seeing something that is not really there? You might find the answer in census returns. When doing historical research of any kind, researchers have to choose a variety of search words. They hope that by using the correct word they can locate and use both primary and secondary sources. Choosing the right search terms is a challenge at the best of times, but the challenges involved in finding Aboriginal content are particularly significant. Many search words reflect historical biases and misunderstandings. Over time, names or terms change entirely while spellings are altered to suit the period, location and circumstances. And the terms are still changing. There is little evidence that, as knowledge keepers, First Nations, Métis or Inuit were involved in the historical creation and development of the documents found at Library and Archives Canada (LAC). However, the individuals or institutions that created the documents left a strong imprint on them that is coloured by the why, when and where of their creation. The language and imagery used in the past, however problematic, remain in the database descriptions. Terms such as “squaw,” “half-breed,” “massacre,” “uncivilized” and “victory” should be used with careful consideration and in an appropriate context. Equally problematic is material that has less than perfect descriptions. These are not always helpful. Little detail is forthcoming when terms such as “native type” and “peau rouge” (red skin) are used. At the same time, the majority of individuals depicted in the images in Library and Archive Canada’s collections were never identified. Many archival descriptions relating to events or activities are absent or have dated information (e.g. place names, band names or terminology). Alternatively, information is based on original inscriptions and captions found in the records, and hence reflects the biases and attitudes of non-Aboriginal society at the time. The sheer number of these type of descriptions makes searching for a particular document or photograph a formidable task. LAC does modify the descriptions in its collection. While ensuring the integrity of the original description, LAC strives to add clarity to incomplete data and modify inappropriate language when examples come to our attention. We never alter an original record or image, only the description that was created for it. Is self-identification essential to being Métis? Creating item level descriptions for materials entrusted to Library and Archives Canada (LAC) is a serious task and staff work diligently to ensure such descriptions are useful. To assist researchers, descriptions must be as complete as possible. There is a common belief among those researching LAC’s Aboriginal material that the institution can always clearly identify such material by group, place and date. Unfortunately, when an item is entrusted to LAC, this level of detail is often missing; whenever possible, however, LAC provides supplementary information. In early 2002, Library and Archives Canada (LAC) teamed up with the Nunavut Sivuniksavut Training Program and the Government of Nunavut’s Department of Culture, Language, Elders and Youth, to create Project Naming. 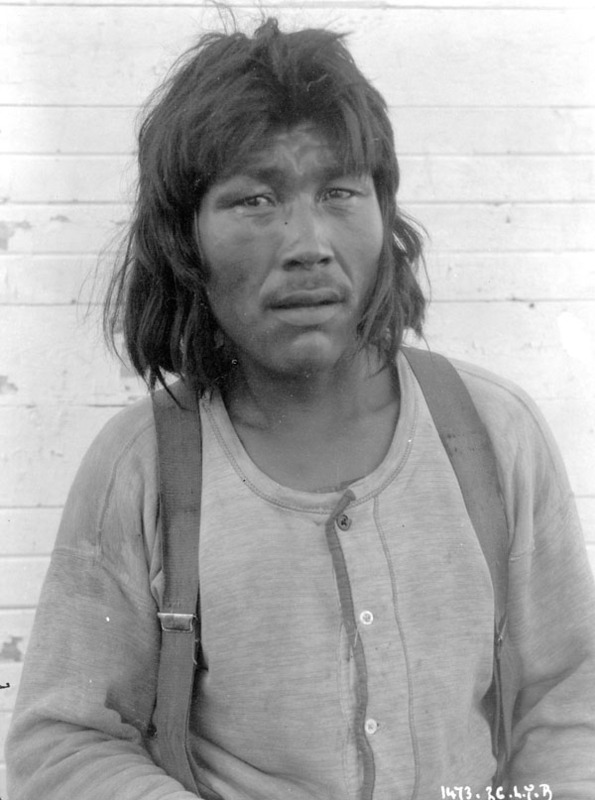 The goal was to digitize photographs of Inuit from present-day Nunavut in LAC’s photographic collections in order to identify the people depicted in the images. At the time of the launch, LAC expected that the project would be concluded the following year. We never imagined that this initiative would become such a successful and popular project with the public. To mark the annual National Aboriginal History Month in June 2015, LAC is pleased to announce the launch of Project Naming. While the project still includes communities located in Nunavut, it will be expanded to Inuit living in Inuvialuit (Northwest Territories), Nunavik (northern Quebec) and Nunatsiavut (Labrador), as well as First Nations and Métis communities in the rest of Canada. Project Naming: 2002–2012 will still be available online, but new content will only be added to the new project site. Project Naming: 2002–2012 began with the digitization of 500 photographs from the Richard Harrington fonds. Since then, LAC has digitized approximately 8,000 photographs from many different government departments and private collections. 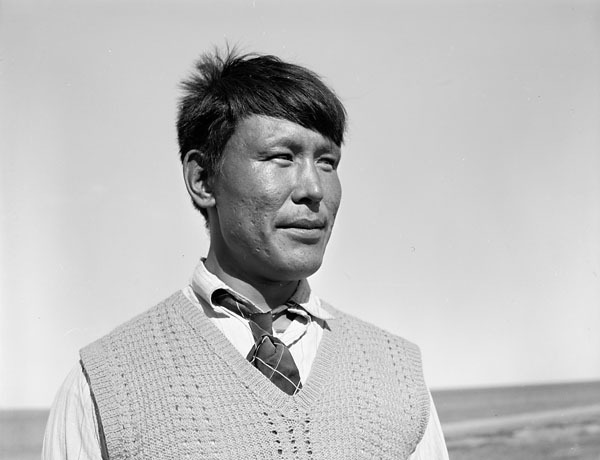 Thanks to the enthusiasm and support from Inuit and non-Inuit researchers, nearly one-quarter of the individuals, activities or events portrayed in the images have been identified, and this information along with the images is now available in the database. Over the years, LAC has received many wonderful stories and photographs from members of the public who have reconnected with their family and friends through the photographs. Among these was a photograph shared by the Kitikmeot Heritage Society that organized several community slide shows during the winter of 2011. 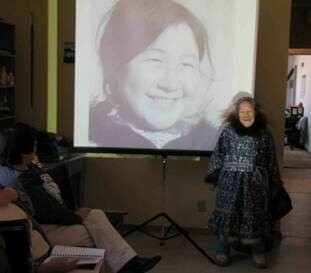 Mona Tigitkok, an Elder from Kugluktuk, discovered her photograph as a young woman during one of these gatherings. Mona Tigitkok posing with a picture of herself taken more than 50 years ago, Kugluktuk, Nunavut, February 2011. Credit: Kitikmeot Heritage Society. 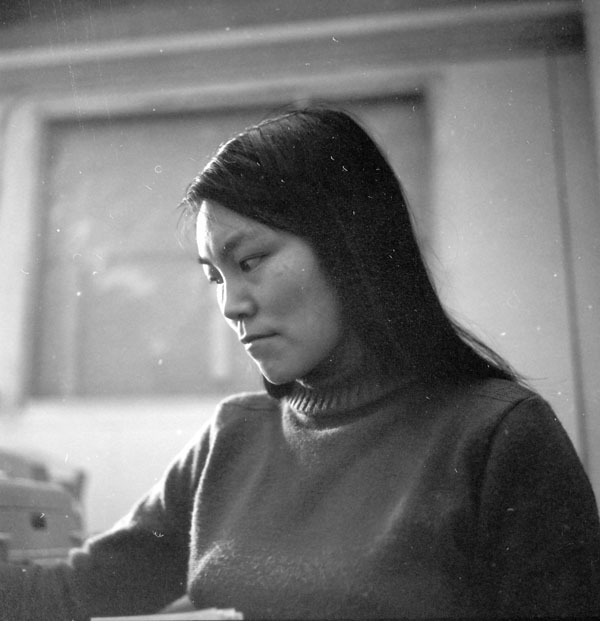 I was first introduced to Project Naming a few years ago through my work in the Inuit heritage field, but there is also a personal connection for me—the database allows people to search by communities in Nunavut so I’ve discovered photographs of relatives and community members. It was not uncommon in the past for photographers not to name the subjects of images. Often photo captions were simply “group of Eskimos” or “native woman” and so on. One afternoon, over tea, I showed some of the photographs from the Project Naming database to my mother, Sally Qimmiu’naaq Webster, and we were able to add a few names to faces from our home community of Baker Lake (Qamanittuaq). I felt a sense of satisfaction in identifying unnamed individuals in photographs and providing names to replace nondescript captions provided by the photographer. In a sense, when we do this we are reclaiming our heritage. Project Naming allows people to not only identify individuals in images, but to add information including corrections to the spelling of names in an online form. It is well worth checking out the database, especially with an Elder, because seeing the image opens up discussion. For more information about the history of the project, read the article Project Naming / Un visage, un nom, International Preservation News, No. 61, December 2013, pp. 20–24. As with the first phase of the project, LAC wants to hear from you through The Naming Continues form. 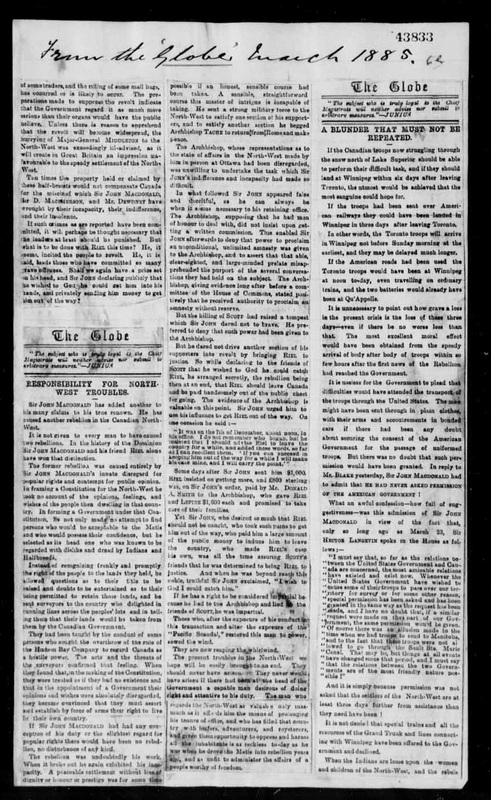 There are few historical events in our national story that solicit stronger opinions and create more debate than the disputes of 1870 and 1885 between the Métis in Western Canada and the Government of Canada. Various names refer to these two series of events, and their usage often reflects the loyalties, opinions and even biases of the user. Today, we see the application of such terms as rebellion, resistance, insurgency and disputes. To put things into context, the 1870s saw the disappearance of the bison herds, pushing many First Nations peoples to near starvation. As for the Métis, the loss of the bison on which they also depended brought hardship that was further compounded by the end of the fur trade. The Métis of the North-West Territories felt that the established North-West Council failed to represent their interests. 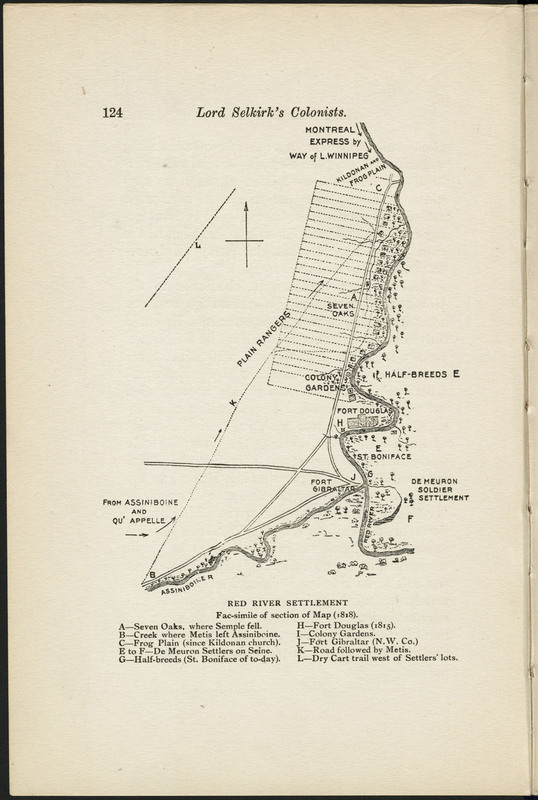 They sought assurances from Ottawa that the titles to their river-lot homesteads and farms would be guaranteed in advance of any large-scale influx of settlers. The Métis sent more than 70 petitions to Ottawa in an attempt to address these grievances, none of which were responded to. In the eyes of the Métis, the federal government was indifferent to any attempt to redress territorial grievances and protect occupant rights. Frustrated white settlers newly arrived in the North-West Territories were also waiting for their property titles, as they were necessary for obtaining loans to improve their farms. At the same time, widespread dissatisfaction with the First Nations treaties and rampant poverty prompted Chief Big Bear, of the Plains Cree, to attempt to renegotiate the terms of the treaties. Hence, the First Nations issues and grievances were largely unrelated to those of the Métis and white settlers apart from their commonly held belief of a neglectful, distant and imperial Ottawa. As a result, the Métis decided to resist any subsequent actions by the federal government. When Louis Riel organized an “illegal” provisional government, it incited Ottawa to assert its sovereignty in the North-West Territories. 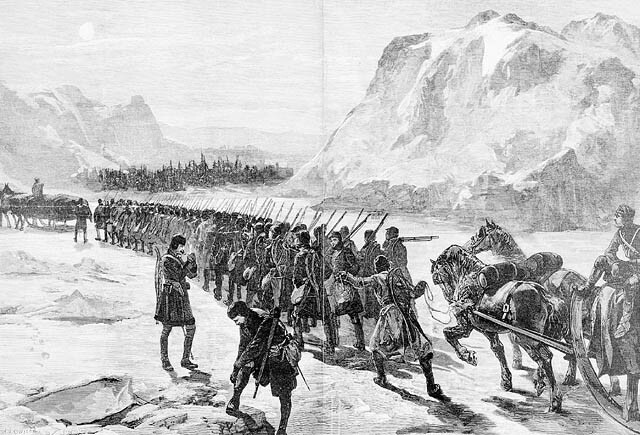 The North-West Rebellion (or North-West Resistance) was a violent, five-month uprising against the Canadian government, fought mainly by Métis militants and their First Nations allies. With the Métis defeat at the Battle of Batoche (in present-day Saskatchewan), the North-West Resistance had essentially ended. For many, including Louis Riel and Chief Big Bear, the consequences were swift and direct. Métis and First Nations communities would suffer severe and lasting consequences from the events of 1885. In addition, relations between the French and the English and the Aboriginal and non-Aboriginal people of Canada would be set back for years to come.